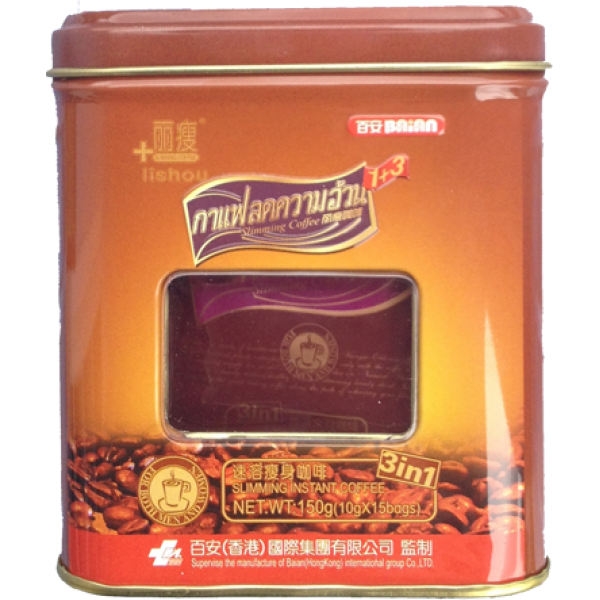 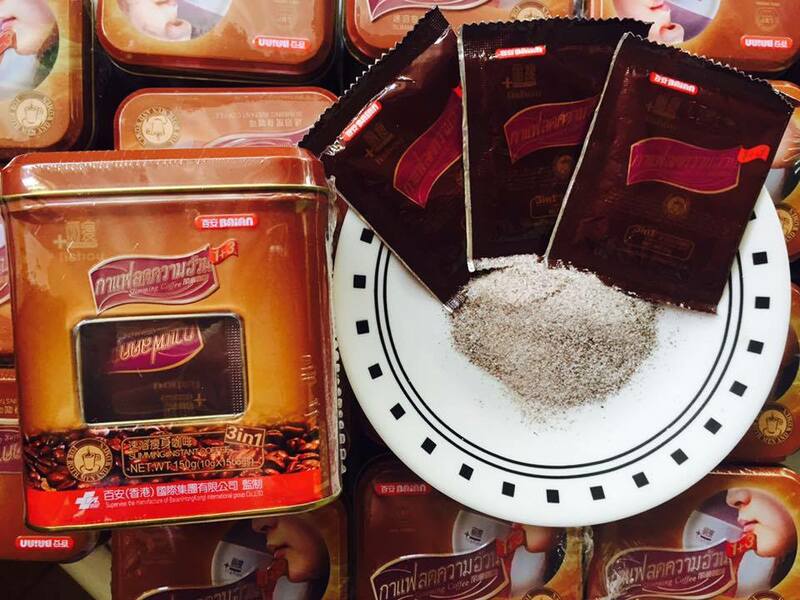 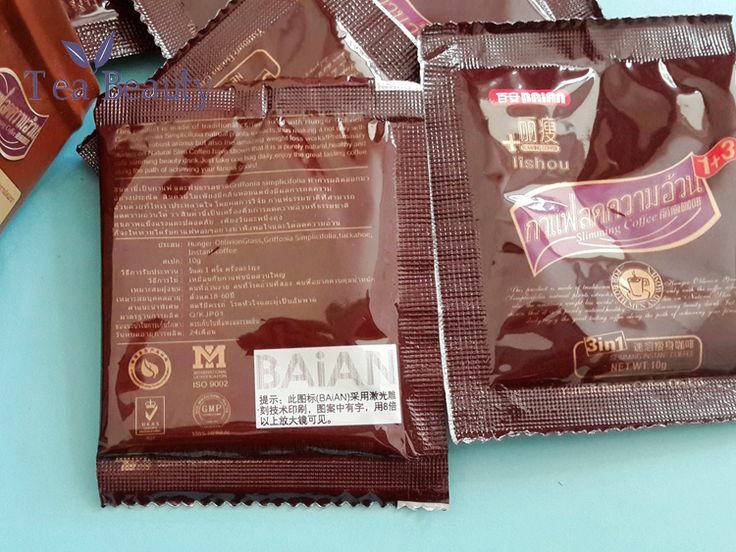 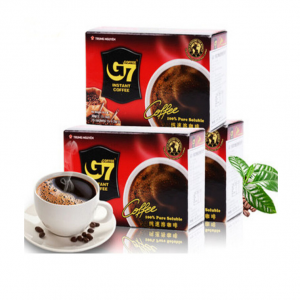 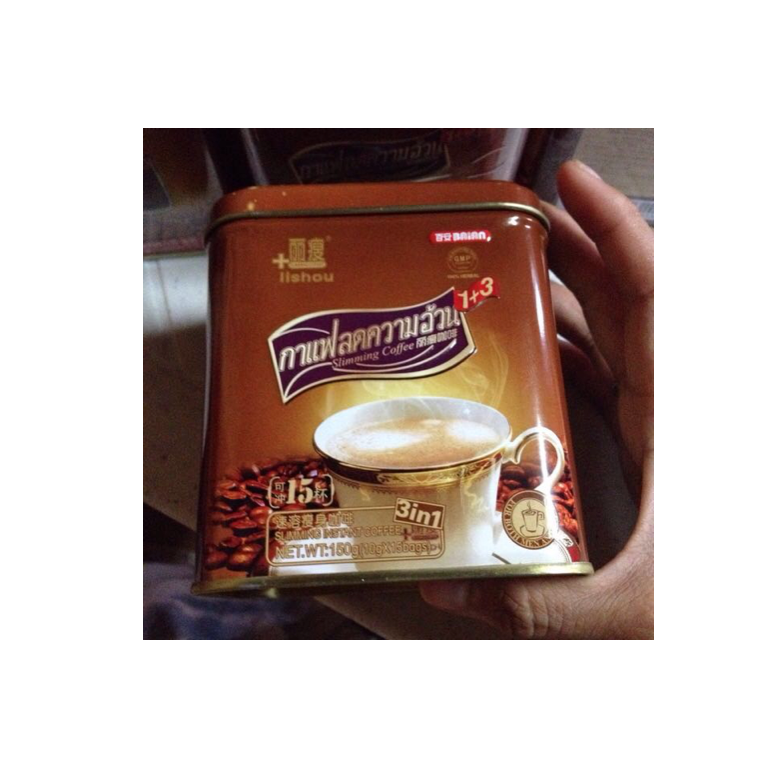 Lishou coffee Slimming Coffee for Weight Loss Natural Thailand Instant Coffee 100% Imported with Original Packaging. 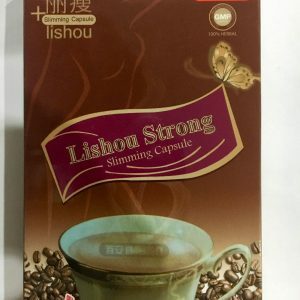 LiShou slimming coffee is a completely natural product for slimming that helps you get rid of more fat and simple to use anywhere you like and it does not need special diet restrictions. 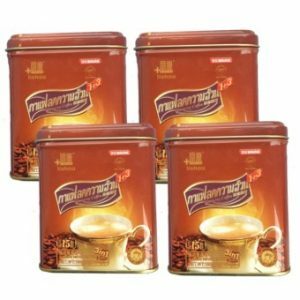 Special offer – Buy 3 cans off coffee – get 1 free. 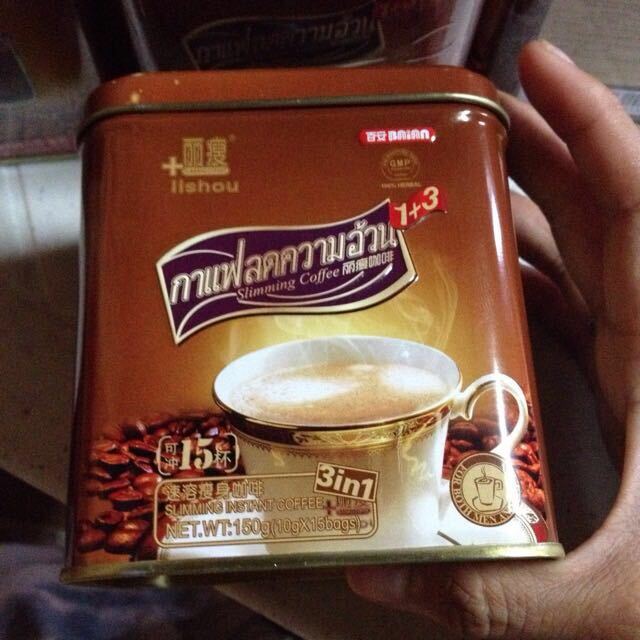 Four cans for the price of three. 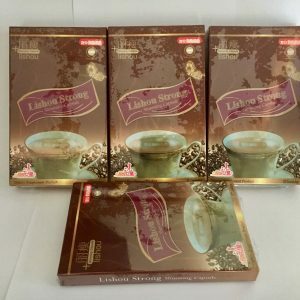 Baian Lishou Slimming Coffee is high quality and powerful hunger control by unique blend of natural herbs and premium coffee. 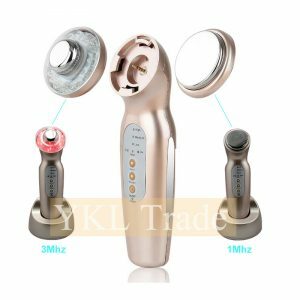 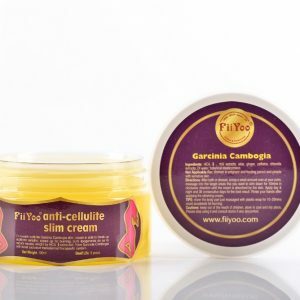 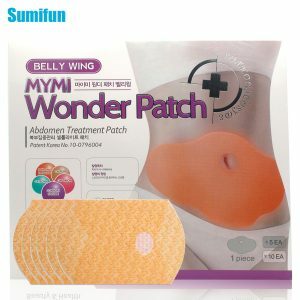 Helps to reduce weight quickly with quick visible effects. 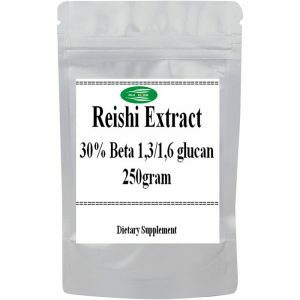 Very easy and comfortable way of weight control. 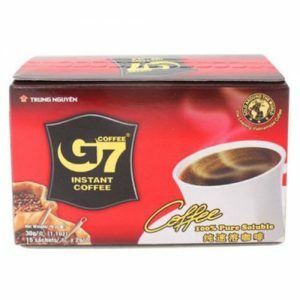 Use and dosage: 1 sachet dissolve in 100 ml of hot water (not boiling) and drink in the morning before or after breakfast. Contraindication: Unappropriate for children and people under 18 years and over 60 years of age, pregnant women, nursing mothers, people with heart or kidney disease.